Check out video of the winners from the 2017 Asia Pacific YoYo Championship! The 44FESTA crew was in Singapore last month for the 2016 Asia Pacific Yo-yo Championships and they bring us a fresh report from the contest and the AAA Throwdown held at the contest after-party. Check the link above and find out who won the combo contest and whether it’s possible or not to hit double trapezes on wooden imperial yo-yos! Our good friend Ewin Ee from Malaysia put together a clip video from this year’s Asia Pacific Yo-yo Contest, with lots of great highlights from the contest and all the action off-stage as well! AP16 Results: Shion Araya wins 1A, Liu Man Ki beats Shinji Saito in 2A! The 2016 Asia Pacific Yo-yo Championships was held last week in Singapore, and with yet another huge player turnout, we got a couple of nice surprises among the results! While we had the usual group of players among the top finishers in 1A, this year we have a brand new face topping the chart! Shion Araya, who finished second at last year’s World Yo-yo Contest, was the winner, with a solid and fast-paced routine, beating AP veterans Marcus Koh, who finished second and took home the Singapore Champion title, and Ahmad Kharisma, arguably the most consistent of the AP contestants. Last year’s winner, Iori Yamaki, was absent, while veteran contenders Hiroyuki Suzuki and Christopher Chia finished in 6th and 15th place, respectively. The biggest surprise of the contest was in the 2A division, where veteran Liu Man Ki, from Hong Kong, beat 13-time World Champion Shinji Saito, thanks to a major deduction from the latter that was just enough to switch their final rankings. An impressive feat nonetheless! 3A had fewer big names compared to the other divisions, and Taiichiro Higashi had no trouble securing his second title in a row. Offstring at this year’s AP was nothing short of fantastic! Local legend Lim Aik Hwee took home his fourth AP title 10 years after his first, and after no less than 4 years of competition hiatus! He was closely followed by Tsubasa Onishi and his usual and always entertaining acrobatics, and Tomohiko Zanka, who got his career’s best result yet! Hideo Ishida had no trouble winning the counterweight division and his first AP title. His “modern old-school” 5A is always a pleasure to watch. Many thanks to organizers of the Asia Pacific Yo-yo Contest for the official videos, and of course for bringing us yet another fantastic event! Check out their YouTube channel for more videos from the contest! 44FESTA Triple A Throwdown at AP and vol. 18 report! 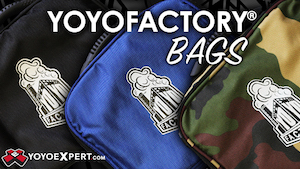 Great news for all of you attending the Asia Pacific Yo-yo Championships this week in Singapore! The 44FESTA crew will be holding a Triple A Throwdown during the after-party on July 3rd! The Triple A Throwdown is an almost mythical post-contest tradition, part of the division’s unique culture, with its roots going back over 10 years ago. As a master of both 3A and ducks, we feel that Masanobu Iwata is uniquely suited to host the event for the Asian community! The crew at 44FESTA was also busy a couple of weeks ago, holding yet another edition of their own event. 44FESTA vol. 18 was held on June 19th, and this time the offstring relay mini-contest had a sweet twist: 403YOYOCLUB in Sendai competed against the 44FESTA teams over Facetime! Pictured above is Team Seki, winners of the mini-contest, with the Sendai crew sending their regards. The freestyle contest also had something new: judges provided commentary and advice for the contestants on how to improve their freestyles. We expect to see some substantial improvement among the 44FESTA freestylers in the coming contests! And speaking of improvement, the big winner of this edition was surprisingly not one of the several sponsored players competing; instead, Tomoki Toyama took home the trophy finishing ahead of the pack! Check out all freestyle videos here. Remember to attend the Triple A Throwdown this weekend in Singapore, and the upcoming 44FESTA 3rd Anniversary to be held on August 6th! The 2015 Asia Pacific Championship attracted the usual massive amount of talent to this years event, including a ton of the Something/IZM team. Check out a highlight video of Hiroyuki Suzuki’s dream team in action! Iori Yamaki wins the 2015 Asia Pacific YoYo Championships! What an incredible contest! The 2015 Asia-Pacific Yo-yo Championships comes to an end with an unbelievably high level of competition! 1A was especially tough, with some of the world’s best fighting for the title, but it was Iori Yamaki, with an amazing display of speed and skill who took the title, ahead of previous champion Ahmad Kharisma, and multiple time World Champion Hiroyuki Suzuki! In 2A, the world’s greatest champion, Shinji Saito, was once again the winner, beating country-mate Shu Takada, and Hong Kong’s Liu Man Ki. Even without the same amount of top level players, 3A was a close call, with Taiichiro Higashi beating Mizuki Takimoto by only one point before deducts! Thawhir Iqbal, from Singapore, finished third. 4A usually has a higher number of deducts, and AP this year was no exception, with deducts determining a few placings. This year’s Japan Nationals runner-up, Naoto Onishi, finished first, followed by Singapore’s Sean Hung, and China’s Zhao Chen. Finally, in 5A, Naoya Takeuchi completed Japan’s clean sweep by beating Singapore’s own Ian Loh, and Yuttana Sukhumalchatsombat, from Thailand! 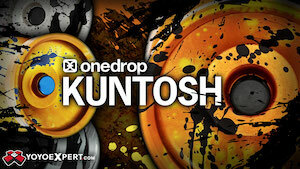 Check full results and winner freestyles below, videos courtesy of yoyovideoarchive! The Asia-Pacific contest just released the first highlight clip from this year’s event, featuring some of the most talented players in Singapore. With players of the caliber of Marcus Koh and Christopher Chia hailing from Singapore, you know this is a country with some of the best talent in the world. Check it out! 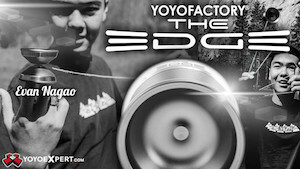 The results are in for the Artistic Performance Division at the 2014 World YoYo Contest! Ahmad Kharisma is still King of Asia! Full AP results! This year’s Asia Pacific Yo-yo Championship marked the 10th anniversary of the contest. The idea of a multi-national event was new back then, and we’re thrilled to see it bigger and better every year! 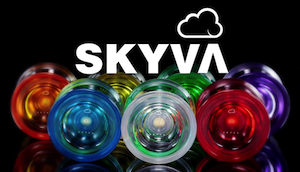 We have some results and freestyle videos, courtesy of C3yoyodesign! Many had been wondering if Ahmad Kharisma’s win over Hiroyuki Suzuki and Christopher last year was an exception to the norm, but the Indonesian star proved he is among the best on the planet, and a contender for this year’s World Yo-yo Contest! Second place went to Iori Yamaki, with Hiroyuki Suzuki finishing third. In 2A, Shinji Saito showed us he’s still very much the god of 2A, winning the old-schooler battle and finishing ahead of Hiraku Fujii and Liu Man Ki. If 2A was all about veteran players, 3A gave us a glimpse of a very bright future, with Hajime Miura displaying an unbelievable level of control on stage! Jeon Ji-Hwan won the 4A division with his usual flashy style, beating Chan Chun Hin and Sean Hung to take the title. Finally, in 5A, Jaued Cervas, from the Philippines, beat Teeny Kai Zhang and Naoya Takeuchi to bring home the trophy! 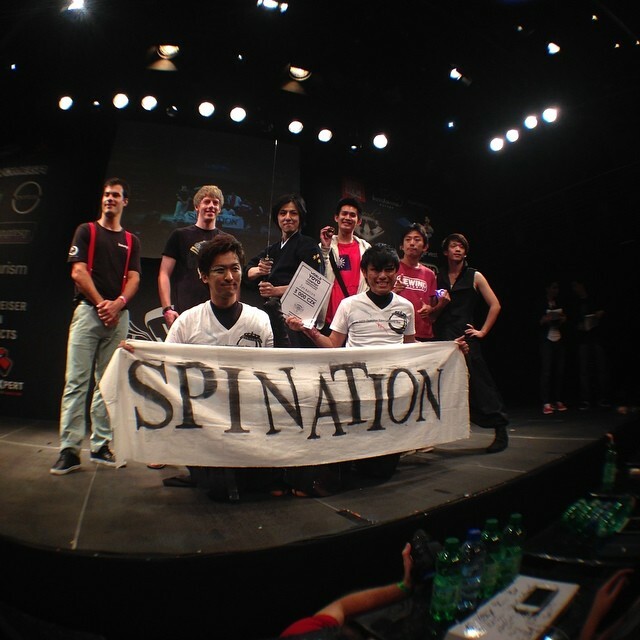 2014 Asia Pacific YoYo Championship Day 1 Results! The official Asia Pacific Yo-yo Championship Facebook page has the qualifier results from the first day of AP 2014! Most of the favorites made it, and finals should be a blast! In 1A, World Champions Hiroyuki Suzuki and Marcus Koh are joined by numerous talented young players. In 2A, plenty of Japanese veterans dominate the scene, led by the legend Shinji Saito himself. Finally 3A, 4A, and 5A present a more diverse selection, and should be also quite fun to watch! Be sure to come back for the second day of AP on the live stream! The 2014 Asia Pacific YoYo Championships will be held once again at the Bugis+ mall in Singapore. The tenth edition of AP will be held on July 4th-6th, and with the added importance of the contest being one of the few paths to get a seed to the World Yo-yo Contest, we expect nothing short of the best from all players in Asia. Check out the official AP Facebook page for more updates!